Waffling about the new Indians? Not sure if you’re ready to commit? 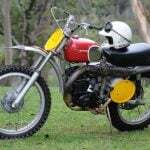 The Indian Motorcycle Assurance Program is making it hard to drag your feet much longer. 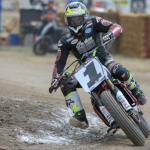 “The Indian Motorcycle Assurance Program sets a new benchmark in the motorcycle industry for warranty coverage, service and support,” said Polaris Vice President of Motorcycles, Steve Menneto. Purchase a new Chief Classic, Chief Vintage or Chieftain and benefit from a whole host of perks. 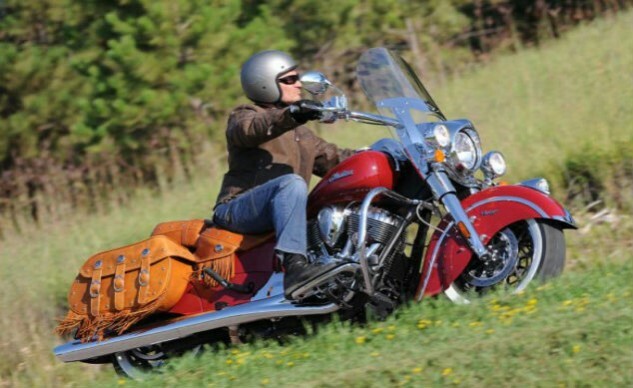 First and foremost is Indian’s Five-Year Coverage Plan, which includes both a one-year limited warranty and an extended service contract that’s good for 60 months. Coverage is subject to $50 deductible, with no mileage limitation. Parent company Polaris Industries is so confident purchasers will love the new Indians it’s also guaranteeing their trade-in value. Polaris guarantees 70 percent of the bike’s original MSRP after two years, and 60 percent trade-in value after three years. 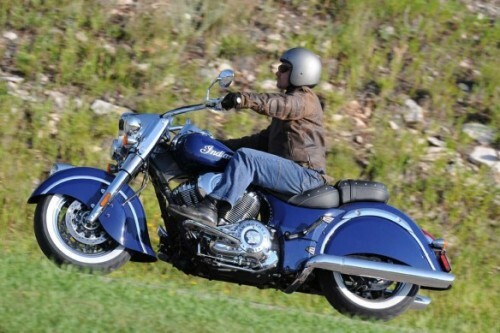 Buy a new Indian before the end of 2013 and the benefits multiply. Indian’s Fly & Ride program rewards those who aren’t afraid to pull the trigger on a deal by December 31 by offering a $250 credit if the purchaser can prove he spent at least that much for a plane ticket with a major airline to get to the dealer and make the purchase. Let’s say that again: Fly to a participating Indian Motorcycle dealer on any commercial airline and ride away on a new Indian before the end of 2013 and you’ll receive a $250 credit toward your purchase. Purchase a new Indian through the end of 2013 and you’ll also receive a full year of roadside assistance coverage, including emergency transport (up to 100 miles at no cost), pickup and delivery of your motorcycle (charges apply), fluids delivery, and jump-starting services. 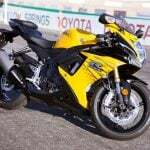 Finally, Indian dealers across the country are offering competitive financing rates of 3.99% for 36 months, or 6.99% for 72 months, as long as you complete your purchase by December 31. In addition to the Indian Motorcycle Assurance Program, there is a 24-hour Indian Concierge Hotline available for all Indian Motorcycle owners. 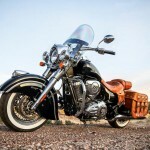 In our August review of the new Indians, we reported that the bikes would begin arriving in dealerships in September. 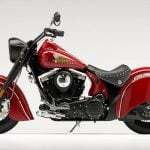 Indian now says the new models are being shipped to dealerships from the plant in Spirit Lake, Iowa throughout the month of September. So if your local dealership hasn’t yet received the brand new models, relax – they’re on the way, along with an extensive array of apparel, parts and accessories. 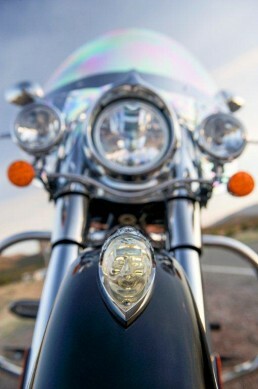 Visit www.IndianMotorcycle.com to locate an Indian Motorcycle dealer near you.